Just look at these yummy colors. 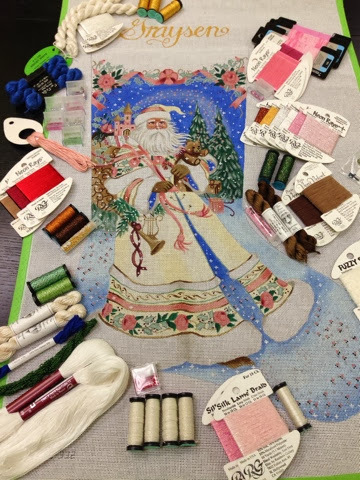 We stitch guided the Magic Santa stocking from tapestry tent with a little help from Julia Snyder. Magnificent and on my list!! !